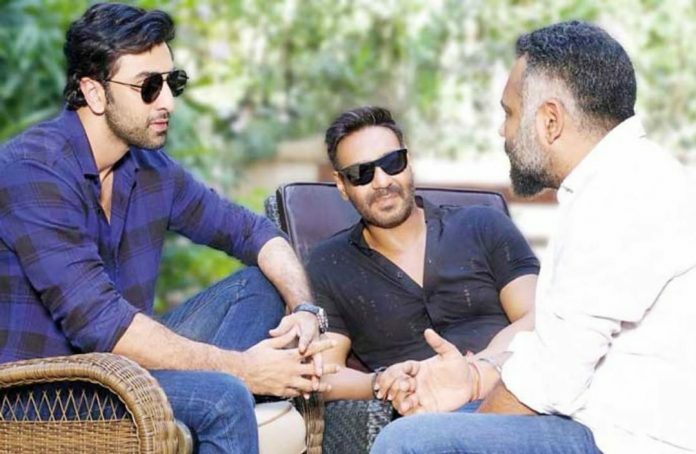 Ranbir Kapoor and Ajay Devgn are all set to share the screen space once again after the film Rajneeti. Some of the earlier reports had claimed that the actors will be seen starring in a film together directed by Luv Ranjan but there were many details that were not revealed then. Reports say that the upcoming film will be of an action genre and is expected to go on floors in December 2019. As per some of the recent reports, the film will be an action flick and the team is looking forward to wrap the film by April 2020. It is also interesting to see that Ranjan has chosen an action genre to direct his actors. While the search for the male actors is over with Ranbir Kapoor and Ajay Devgn, the search for the leading ladies is still on. At present Ranbir is working on the upcoming film Shamshera which also stars Vaani Kapoor and is also an action thriller that also features Sanjay Dutt as the antagonist. Ranbir is also preparing for the upcoming film Brahmastra which also stars Alia Bhatt and Amitabh Bachchan playing important roles. Apart from Ranbir’s professional life, the actor is also in news for his personal life with his love story with Alia Bhatt.